Marine Sgt. 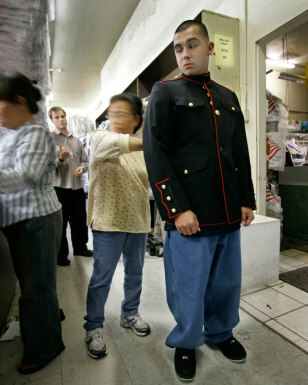 Mark Castro Elias is fitted for a dress jacket in Oceanside, Calif., on Tuesday. The Marine Corps is banning the wearing of camouflage uniforms off base, even during coffee runs and quick stops at the cleaners.